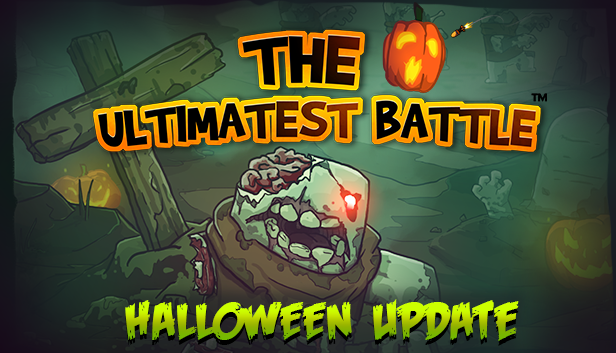 Ultimatest Battle (UB) - Halloween’s coming! Period : from October 20th to November 12th. Theme of the year : All Souls’ Day (Dia de los moertos). Once again, this year, you can get your fill of exclusive new items playing during the Halloween period. - As a reward for successfully played a game. - Completing each of your daily quests (rewindoquests will grant you 3 additional quests). - Killing your ennemies will sometimes award you an extra vertebrae ring. - The Ominous chest (accessory) enables you to get one of the 4 new accessories, in “cursed” quality. - The Ominous chest (hat) enables you to get one of the 6 exclusive hats of this year, in “cursed” quality. 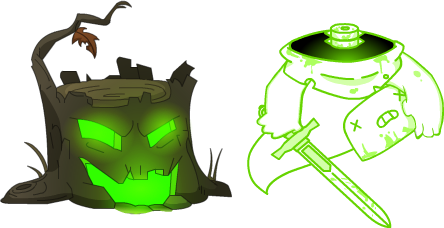 - The Old Ominous chest enables you to get one of the previous Halloween accessories, in "cursed" quality too. Still in the interface where you can get your rewards, you will notice that 3 prizes out of 6 can be exchanged for “Acid Cauldrons”. But what is an "Acid Cauldron" ? And what is the "Cursed" quality ? An intem with a "Cursed" quality can be used to get an "Acid Cauldron". WARNING : Once your “cursed” item is turned into an Acid Cauldron, it will be definitely lost. The “cursed” items will lose their quality after the event, however they won’t disappear from your inventory. As a matter of fact, you can decide which item you want to keep and which one you can get rid of to get the rarest items of the event. -The new title special Halloween (limited to 1). .The new familiar "Lil' Casimor", in authentic quality. .A festive item "Darktifice rocket", in authentic quality. .The new "Sylvester Grave", in authentic quality. or a Halloween chest 2015 to go backward in time! You will always be able to exchange your vertebrae rings and your acid cauldrons until one week after the end of the event. After this deadline, the "cursed" items will lose their quality and the Vertebrae Rings and acid cauldrons will disappear from your inventories. 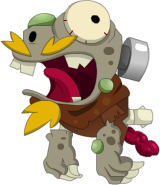 During the event period, you will enjoy the Zombie and Versus Boss modes. Play survivors and try to survive until the end of the time limit. A survivor killed while fighting will resurrect in the Zombie team and will have to overcome his former allies to win the fight. A player embodies the Boss and all the other players must get rid of him before the end of the time limit. 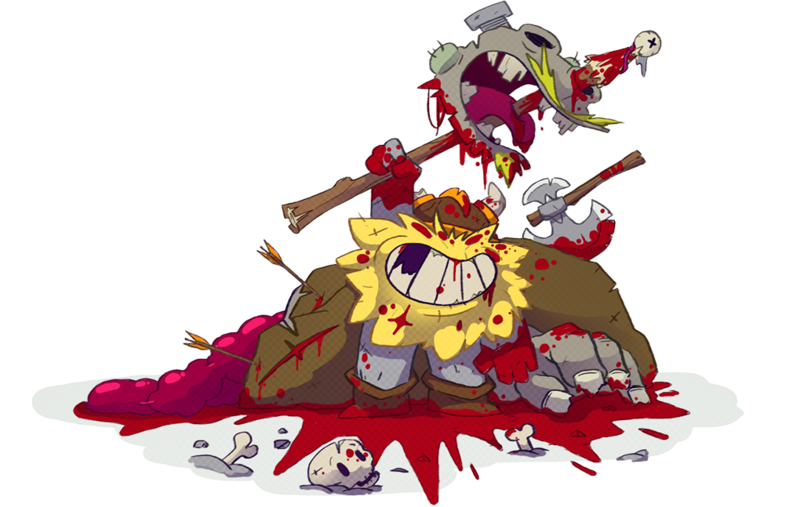 The two available bosses are "Casimor, the giant Zombie" that you will fight on the graveyard map ; and "Granny Karnage" that you will meet on the furnace map. Please refer to the game tutorial for further information on these bosses. ■ The Halloween Rune 2017. Available in one copy in the Nightmarish chest, the Halloween Rune 2017 will be also purchasable on the shop during the whole event. In this event rune, you will be able to get one of the exclusive Halloween 2017 weapons. You also have a small chance to receive a rare bonus item from this year: the Shield of the Skeleton King! During the opening of an event rune, you can get a rune from the previous year. 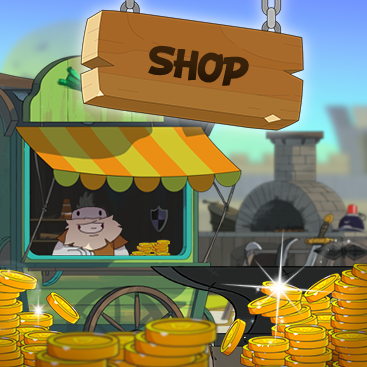 Then, you can go back in time getting an always older rune, in order to become the happy owner of an exclusive weapon from the previous Halloweens. The weapons obtained in the event Runes don’t have the "Count Kheel" quality. ■ Modification of the Runes transmutations. As you know it, every time a Rune is opened, you have a low chance to get a “Legendary Hat”! The way you can get legendaries has been improved: every time a Rune is opened, your chance to get a Legendary increases slightly. Once a legendary hat has been transmuted, its obtention rate goes back to its initial value. That new system is retroactive! It means that the more Runes you open without getting legendaries, the more chances you have to get one during your next transmutation. This new system also involves obtaining CK weapons: each time a Rune (containing CK) is transmuted and you get a hat or accessory, the probability of getting a CK at your next transmutation increases. Many have been demanding this functionality, customized servers will show up from the next update ! From the list of servers, you can click on "Create a server" in order to choose your maps, your modes and your server capacity. After its approval, your server will be automatically hosted in the nearest area in order to optimize the latency period. If the latency remains high even in a server you’ve been creating yourself, do not hesitate to let us know indicating your location, we will take your reporting into account during the diversification of our servers locations. The same player won’t be able to open many servers simultaneously, you will have to wait for your server to be empty and to shut down before you open a new one. Like every other year, a Halloween FanArt contest is organized to make you win exclusive event items in "Reward" quality. In order to take part in that contest, all you need to do is post your creation on the community Hub, indicating “Halloween 2017”and your nickname in the game. You can also write at support@ediogames.com, without forgetting to indicate your nickname in the game The Ultimatest Battle. The theme of this year is : Halloween, and All Souls’ Day (Dia de los muertos)! There is no format requirements : drawing / video / sculpture, as long as your work links up with UB and the theme of this year. We accept all participations until November 2nd inclusive, and every single participation will be at least rewarded with a consolation prize : so get out your pens ! That’s all for now dear Nubs. Let us meet again for this ultimatest event from Friday, October 20th on UB! Enjoy the game, and a happy frightening Halloween to all of you !